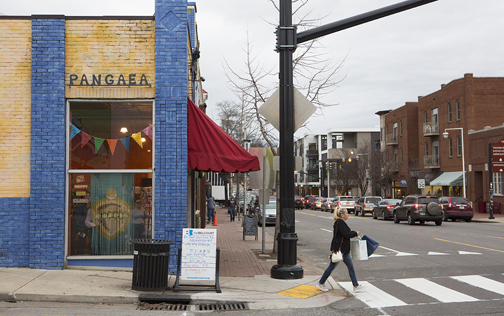 Pangaea owner Sandra Shelton, who’s retiring, says goodbye to her business, a staple of Hillsboro Village for years. 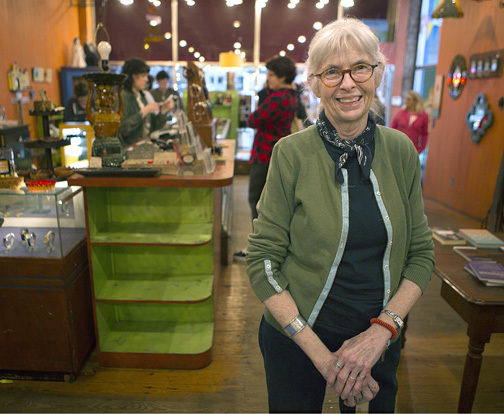 This past Sunday, Shelton closed the doors on Pangaea, her beloved Hillsboro Village store of 31 years. Over three decades, the clothing, jewelry and home décor shop has been described as everything from bohemian to eclectic, funky to venerable. And now it’s a memory, joining Bookman/Bookwoman, Bosco’s, Jackson’s and Provence Bread & Cafe as Village businesses that have shuttered in the past few years. “I grew up in Nashville … so I’ve seen a lot of change (in Hillsboro Village) over the years,” Shelton, 72, says. “I hated to see Woolworth’s go. I hated to see McClure’s go. I hated to see Provence go. And now I hate to see Pangaea go. Change is hard for me. Shelton explains that when her passion project had come to feel more like an overwhelming job, it was time to move on and plan for something else. “It was just getting harder for me. It really is a lot of work. I tend to be a control freak, and I haven’t really been able to cut back,” Shelton admits. Parking and crossing 21st Avenue have long topped the list of negatives in Hillsboro Village. New crosswalks have been added, and more garage parking is on the way. “I’ve tried cutting back by coming in later, but it just means that I work every day instead of five days a week, but I was hoping to get to three or four and it never happened. I was here every day. I just couldn’t seem to (cut back). “It’s great to have a passion, but there were so many things I was ignoring – friends, family, exercise, trips. All because I was too busy. I have very mixed emotions. And as Alexander Graham Bell famously said, Shelton is certain that other doors and opportunities will open after some time off to catch her breath. “It took me until I was 41 to find something I wanted to do, and now I have to find something again. I’m going to take a year to do all those catch-up things – work on my house, visit friends, and then assess what I might want to do. And, of course, Pangaea’s closing means the door will soon open for another business to occupy the space. It’s way too soon to speculate on what type business it will be, though there’s a pretty good chance that it will be someone Nashville already knows. Landlord Scott Davis, whose signature Davis Cookware and Coffee anchors several properties he owns along 21st Avenue, says he has been fielding offers and proposals ever since Shelton announced the closing in early January. Davis says he hopes to keep the Hillsboro Village vibe intact by leasing the space to a locally-owned operator or someone with Nashville ties rather than to a national chain, but adds he isn’t closing doors to any offers. “Not that it has to be this way, but I prefer to have somebody that’s a semi-local person with the idea of the Village, who has kind of an awareness of the Village – that would be my first preference,” Davis explains. “It doesn’t mean there couldn’t be a national chain or something, but that’s less likely. Because we just kind of believe in that local entrepreneur or somebody who has got young ideas, new ideas or an additional idea. That’s good news to Shelton, who opened Pangaea in 1988 and moved it a decade later to the corner of Belcourt and 21st Avenue next to Davis Cookware. Davis and other Villagers wished Shelton well in whatever new endeavors or adventures on which she might embark. “Sandra really wanted the opportunity to come in here, and I told Sandra that as long as she wanted to be in retail we’d work something out. And so she’s decided now to be a little more relaxed and that’s fine,” Davis adds. “I knew that Sandra had been saying for years that she was tired of the travel and it was (time to retire). Retailing is hard work,” explains Nashville restaurateur Randy Rayburn, who owned Sunset Grill in the Village until it closed in 2001. “I’m still absorbing the news and hoping somebody local will want to open another funky little clothing store there,” District 18 Councilwoman Burkley Allen says. Shelton appreciates the good thoughts from customers and fellow business owners, and says stay tuned to see what the future holds for her. “Working retail is physical, very physical. And that’s OK. I will work out, walk and all that, but I need something to work my brain besides crossword puzzles and mystery novels,” she says.